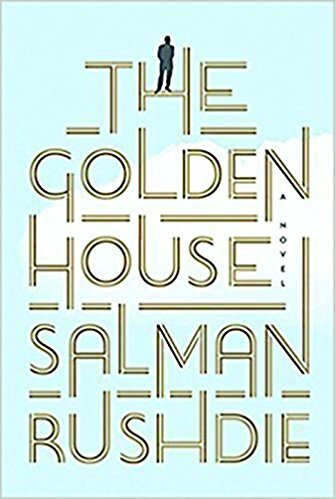 THE GOLDEN HOUSE enthralls readers thrilled with Salman Rushdie's return to realism with this epic novel of an eccentric, foreign billionaire and his family. As this group, which also includes the wealthy man's young Russian girlfriend becomes the talk of Greenwich Village, the mysteries that surround each character begins to unfold. 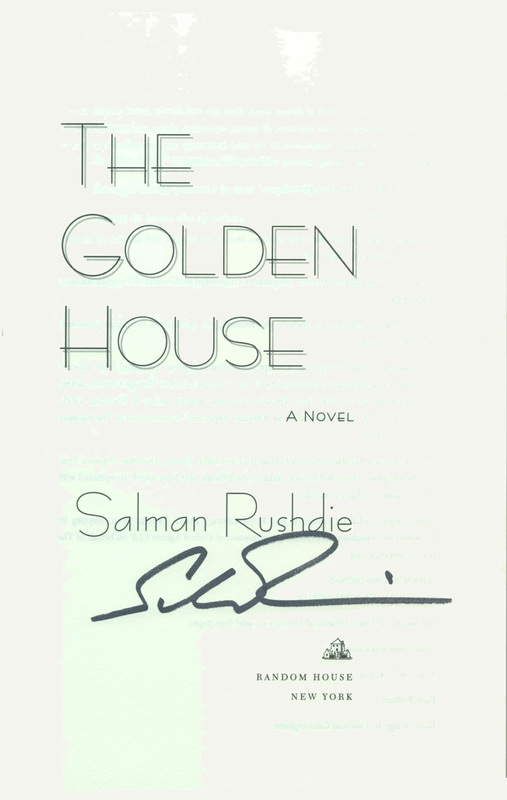 THIS COPY (shown below) was signed by Salman Rushdie on a page that was bound into the book. It is a new, unread, unopened first edition. Published in September of 2015 by Random House, an imprint of Penguin Random House. 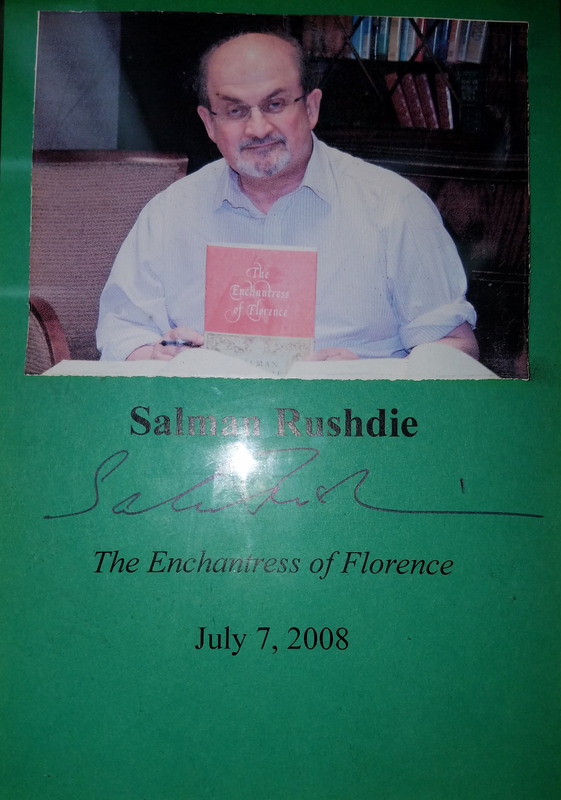 SALMAN RUSHDIE (pictured below from our Wall of Fame) owns a bushel of world-wide writing awards and is an international best-seller. Thank you Salman Rushdie for signing our books.